It’s the essence of the contemplative path and the key to transforming our lives. In this teaching from his book, A Heart Full of Peace, Insight Meditation teacher Joseph Goldstein describes this simple yet profound expression of our mind’s natural awareness. Mindfulness is the quality and power of mind that is deeply aware of what’s happening—without commentary and without interference. It is like a mirror that simply reflects whatever comes before it. It serves us in the humblest ways, keeping us connected to brushing our teeth or having a cup of tea. Mindfulness also keeps us connected to the people around us, so we don’t just rush by them in the busyness of our lives. The Dalai Lama is an example of someone who beautifully embodies this quality of caring attention. After one conference in Arizona, His Holiness requested that all the employees of the hotel gather in the lobby, so that he could greet each one of them before he left for his next engagement. I didn’t know anything about meditation at the time, and I became excited by the prospect of what I saw as an exotic Eastern practice. I gathered all the paraphernalia together, sat myself down on a cushion—and then set my alarm clock for five minutes. Surprisingly, something important happened even in those few minutes. For the first time, I realized there was a way to look inward: there was a path for exploring the nature of my mind. This realization is a turning point in everyone’s spiritual life. We reach a certain point in our lives when something connects, and we acknowledge to ourselves, “Yes, I can do this.” All of this was so new and interesting to me that, for a while, I’d invite my friends over to watch me meditate. Of course, they didn’t often come back. We can start the practice of mindfulness meditation with the simple observation and feeling of each breath. Breathing in, we know we’re breathing in; breathing out, we know we’re breathing out. It’s very simple, but not easy. After just a few breaths, we hop on trains of association, getting lost in plans, memories, judgments, and fantasies. Sometimes it seems like we’re in a movie theater where the film changes every few minutes. Our minds are like that. We wouldn’t stay in a theater where the movies changed so rapidly, but what can we do about our own internal screening room? This habit of wandering mind is very strong, even when our reveries aren’t pleasant and, perhaps, aren’t even true. As Mark Twain put it, “Some of the worst things in my life never happened.” We need to train our minds, coming back again and again to the breath and simply beginning again. As our minds slowly steady, we begin to experience some inner calm and peace. From this place of greater stillness, we feel our bodies more directly and begin to open to both the pleasant and unpleasant sensations that might arise. At first, we may resist unpleasant feelings, but generally they don’t last that long. They are there for a while, we feel them, they’re unpleasant—and then they’re gone and something else comes along. And even if they come up repeatedly, over a period of time, we begin to see their impermanent, insubstantial nature and to be less afraid of feeling them. A further part of the training is becoming aware of our thoughts and emotions, those pervasive mental activities that so condition our minds, our bodies, and our lives. Have you ever stopped to consider what a thought is—not the content but the very nature of thought itself? Few people really explore the question, “What is a thought?” What is this phenomenon that occurs so many times a day, to which we pay so little attention? Not being aware of the thoughts that arise in our mind, nor of the very nature of thought itself, allows thoughts to then dominate our lives. Telling us to do this, say that, go here, go there, thoughts often drive us like we’re they’re servants. Once, when I was teaching in Boulder, Colorado, I was sitting quite comfortably in my apartment. Thoughts were coming and going, when one arose in my mind that said, “Oh, a pizza would be nice.” I wasn’t even particularly hungry, but this thought lifted me out of the chair, took me out the door, down the stairs, into the car, over to the pizza place, back into the car, up the stairs, and into my apartment, where I finally sat back down to eat the pizza. What drove that whole sequence of activity? Just a thought in my mind. Obviously, there is nothing wrong with going out for pizza. What does merit our attention, though, is how much of our lives is driven by thoughts. Unnoticed, they have great power. But when we pay attention, when we observe thoughts as they arise and pass away, we begin to see their essentially empty nature. They arise as little energy bubbles in the mind, rather than as reified expressions of a self. In the same way, we can train ourselves to be mindful of emotions, those powerful energies that sweep over our bodies and minds like great breaking waves. We experience such a wide range of emotions, sometimes within quite a short period of time: anger, excitement, sadness, grief, love, joy, compassion, jealousy, delight, interest, boredom. There are beautiful emotions and difficult ones—and for the most part, we are caught up in their intensity and the stories that give rise to them. We easily become lost in our own melodramas. It’s illuminating to drop down a level and look at the energy of the emotion itself. What is sadness? What is anger? Seeing more deeply requires looking not at the emotion’s “story,” but at how the emotion manifests in our minds and bodies. It means taking an active interest in discovering the very nature of emotion. 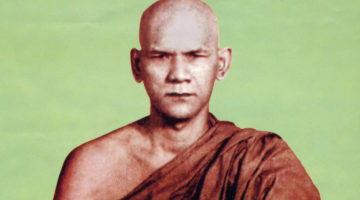 The America monk Ajahn Sumedho expressed this kind of interest and investigation very well. He suggested that in a moment of anger or happiness, we simply notice: “Anger is like this,” “Happiness is like that.” Approaching our emotional life in this way is quite different than drowning in the intensity of feelings or being caught on the rollercoaster of our ever-changing moods. To do this takes mindfulness, attention, and concentration. We need to take care, though, not to misunderstand this practice and end up suppressing emotions or pushing them aside. The meditative process is one of complete openness to feelings. From the meditative perspective, the question is, “How am I relating to this emotion?” Am I completely identified with it or is the mind spacious enough to feel the grief, the rage, the joy, the love without being overwhelmed? As you meditate, keep bringing your attention back to what is happening in the moment: the breath, a feeling in the body, a thought, an emotion, or even awareness itself. As we become more mindful and accepting of what’s going on, we find—both in meditation and in our lives—that we are less controlled by the forces of denial or addiction, two forces that drive much of life. In the meditative process we are more willing to see whatever is there, to be with it but not be caught by it. We are learning to let go. Some years ago I was on retreat with the Burmese meditation master Sayadaw U Pandita. He is a strict teacher, and everyone on the retreat was being very quiet, moving slowly, and trying to be impeccably mindful. It was an intense time of training. At mealtime, we would all enter the dining room silently and begin taking food, mindful of each movement. One day, the person on line in front of me at the serving table lifted up the cover on a pot of food. As he put it down on the table, it suddenly dropped to the floor making a huge clanging noise. The very first thought that went through my mind was, “It wasn’t me!” Now, where did that thought come from? With awareness, one can only smile at these uninvited guests in the mind. Through the practice of meditation we begin to see the full range of the mind’s activities, old unskillful patterns as well as wholesome thoughts and feelings. We learn to be with the whole passing show. As we become more accepting, a certain lightness develops about it all. And the lighter and more accepting we become with ourselves, the lighter and more accepting we are with others. We’re not so prone to judge the minds of others, once we have carefully seen our own. The poet, W.H. Auden, says it well: “Love your crooked neighbor with all your crooked heart.” Spacious acceptance doesn’t mean that we act on everything equally. Awareness gives us the option of choosing wisely: we can choose which patterns should be developed and cultivated, and which should be abandoned. Just as the focused lens of a microscope enables us to see hidden levels of reality, so too a concentrated mind opens us to deeper levels of experience and more subtle movements of thought and emotion. Without this power of concentration, we stay on the surface of things. If we are committed to deepening our understanding, we need to practice mindfulness and gradually strengthen concentration. One of the gifts of the teachings is the reminder that we can do this—each and every one of us. In our busy lives in this complex and often confusing world, what practical steps can we take to train our minds? The training in meditation will only happen through your own effort. No one can do it for you. There are many techniques and traditions, and you can find the one most suitable for you. But regularity of practice is what effects a transformation. If we do it, it begins to happen; if we don’t do it, we continue acting out the various patterns of our conditioning. The next step is to train ourselves in staying mindful and aware of the body throughout the day. 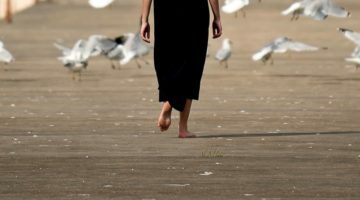 As we go through our daily activities, we frequently get lost in thoughts of past and future, not staying grounded in the awareness of our bodies. A simple reminder that we’re lost in thought is the very common feeling of rushing. Rushing is a feeling of toppling forward. Our minds run ahead of us, focusing on where we want to go, instead of settling into our bodies where we are. Learn to pay attention to this feeling of rushing—which does not particularly have to do with how fast we are going. We can feel rushed while moving slowly, and we can be moving quickly and still be settled in our bodies. Either way, we’re likely not present. If you can, notice what thought or emotion has captured the attention. Then, just for a moment, stop and settle back into the body: feel the foot on the ground, feel the next step. The Buddha made a very powerful statement about this practice: “Mindfulness of the body leads to nirvana.” This is not a superficial practice. Mindfulness of the body keeps us present—and therefore, we know what’s going on. The practice is difficult to remember, but not difficult to do. It’s all in the training: sitting regularly and being mindful of the body during the day. To develop deeper concentration and mindfulness, to be more present in our bodies, and to have a skillful relationship with thoughts and emotions, we need not only daily training, but also time for retreat. It’s very helpful, at times, to disengage from the busyness of our lives, for intensive spiritual practice. Retreat time is not a luxury. If we are genuinely and deeply committed to awakening, to freedom—to whatever words express the highest value you hold—a retreat is an essential part of the path. At first this “going inside” could be for a day, a weekend, or a week. At our meditation center, we also offer a three-month retreat every year, and at the new Forest Refuge, people have come for as long as a year. We can do whatever feels appropriate and possible to find balanced rhythm between our lives in the world and the inner silence of a retreat. In this way we develop concentration and mindfulness on deeper and deeper levels, which then makes it possible to be in the world in a more loving and compassionate way. © Joseph Goldstein, 2007. Reprinted from A Heart Full of Peace with permission from Wisdom Publications. 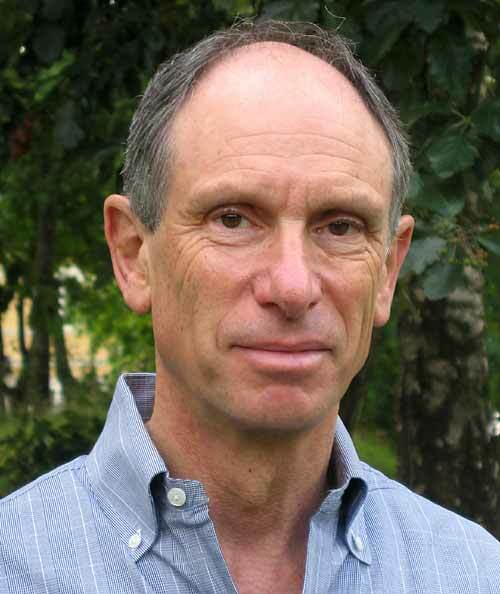 Joseph Goldstein is a cofounder of the Insight Meditation Society in Barre, Massachusetts, where he is one of the resident guiding teachers. He is the author of several books, including One Dharma: The Emerging Western Buddhism.